Enumclaw SDA Church - learning about Jesus while blessing and serving our community. 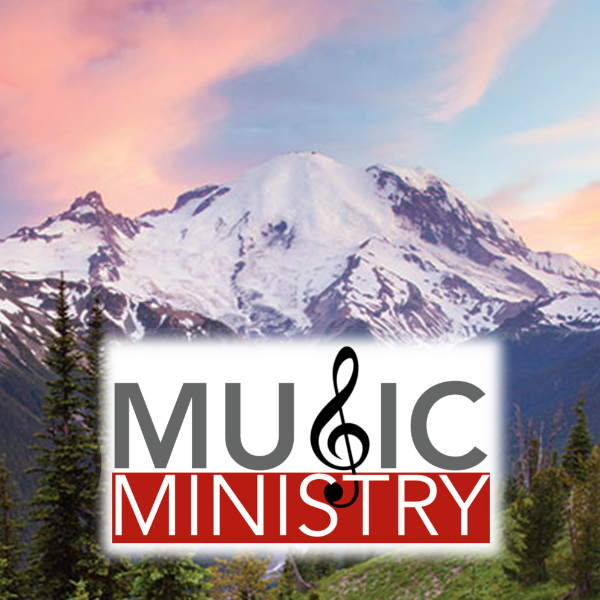 We hope you enjoy the music ministry of the Enumclaw SDA church. Special music is generally part of the Saturday morning worship service at aprox. 10:45 am each week. Legend has it that Spanish explorer Juan Ponce de León discovered Florida in 1513 while he was searching for the legendary Fountain of Youth. The Fountain of Youth was said to miraculously restore the youthfulness of any person who drank from its waters. While it might be exciting to think of discovering the Fountain of Youth or something as remarkable as Atlantis, many people would be satisfied if they could only find the right church—a church faithfully teaching the truths of the Bible. With numerous churches in existence, does it matter which church you belong to? And does God have a church for this time? Governor Alfred E. Smith of New York, a prominent American political leader of the 20th century and twice a candidate for the presidency, stated in his final public appearance why he believed God would never abandon the United States. Speaking of this country, Smith stated, “I have been taught to look upon this country as designed and founded by Divine Providence itself to be the haven of rest and the harbor of refuge for the downtrodden and the oppressed of every land.” From America’s earliest days, men and women throughout the world have sought its shores seeking this promise. A young woman from New York City— herself a descendant of immigrants to the United States—penned the poem that is quoted on the Statue of Liberty in New York Harbor: “Give me your tired, your poor, your huddled masses yearning to breathe free, the wretched refuse of your teeming shore. Send these, the homeless, tempest-tost to me, I lift my lamp beside the golden door!” (Emma Lazarus, “The New Colossus”). Millions of people from all over the world have been inspired by America’s assurance of liberty and justice for all. But for students of the Bible and many others, the questions arise: Will America continue to offer this promise? And at the close of human history as foretold in Bible prophecy, will America still be the world’s champion of freedom? Recovery experts sifting through the rubble following a major earthquake in Turkey in 1999 made a shocking discovery. Thousands of the buildings that collapsed in the temblor were poorly constructed, and many lives might have been saved if these buildings had only been built according to code. External appearances gave no indication of problems with the buildings. But when the earth shook, it became painfully obvious that what appeared to be solid and stable was anything but. In the final days of earth’s history, a time of trouble will shake the world. Only those who have built their faith according to the Word of God are going to withstand the spiritual shaking that will take place. According to Greek legend, the Trojan War began after Helen, the wife of the king of Sparta, left him to be with a man named Paris in the city of Troy. The expedition to avenge the Spartan king was unsuccessful, so the Greeks set sail for Troy in a fleet of 1,000 ships. After years of fruitless efforts to take Troy, the Spartans resorted to treachery rather than force. They constructed a large wooden horse, and left it—filled with armed warriors—outside the city of Troy. Believing the horse would bring them good fortune, the Trojans brought it inside their city. At night, Greek soldiers emerged from the wooden horse, and the city of Troy was captured and destroyed. Something promising good fortune instead brought calamity! As we look at the prophecies of this planet’s final days and the prediction that a time of spiritual crisis will come to the world, the Bible details the rise of a spiritual Trojan horse. Something that seems to offer hope and blessing will instead bring spiritual danger-ultimately preparing the world for Satan’s final, deadly plans. In recent times, courtroom dramas have become popular features on television news programs. Those accused of notorious—even grisly— offenses often find their cases and court proceedings the subject of moment-by-moment media coverage. Society’s fascination with crime and punishment has become a fixture of contemporary life. The Bible speaks of a day in court that none can evade or avoid. What does the Bible say about this judgment? When will it happen? Who is in charge? And will you be found guilty or innocent before God? Keep reading. God’s Word offers answers that are filled with hope! Jerusalem, the “City of Peace,” has a history like few other places on earth. Over thousands of years, many wars have been fought over this site. Today, Jerusalem is still one of the most volatile places in the world. The most prized possession in Jerusalem is the Temple Mount, considered holy by both Jews and Muslims. It was where Solomon built the first great Israelite temple, which Babylon’s King Nebuchadnezzar later destroyed. Herod’s temple, later built on the same spot, was eventually destroyed by the Romans in AD 70. Since that time, there has been talk about rebuilding this temple. But according to the Bible, should the temple be rebuilt? What was the purpose of the ancient temple—also known as the tabernacle or sanctuary? What did all the symbols and ceremonies mean? And as the ancient high priest ministered in the temple on behalf of God’s people in times past, who represents us before God today? Quoting the Danish Twin Study, Dan Buettner, author of The Blue Zones, stated that “only about 10 percent of how long the average person lives, within certain biological limits, is dictated by our genes. The other 90 percent is dictated by our lifestyle.” Evidently, people have a great ability to affect—positively or negatively—how long they live! But God’s plan isn’t just that we live long lives on this earth. He wants us to live eternally. What does the Bible say concerning our physical health? And is there any connection between physical and spiritual health? The Bible contains the keys to a happy, healthy—and very long—life. Flash floods and mudslides resulting from torrential rains that started Saturday, March 16, 2019, destroyed hundreds of properties and left more than 80 people dead and at least 150 people injured in the eastern Indonesian province of Papua. Worst hit is the northeastern town of Sentani, near the provincial capital of Jayapura. Listen in as Pastor Ken Parker shares his experience in Sentani several years ago and shares news he has heard from relatives that are currently living in Sentani and dealing with the aftermath of this devastating flood.